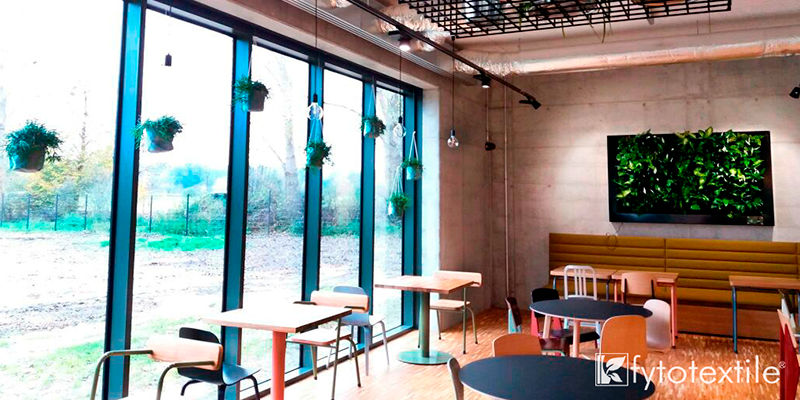 Do you want to include a vertical garden in your company, and don’t you know where to start? You are in the right place, we will do everything so that your project will be a success: design, installer selection, and assembly control, as well as further maintenance. Let’s talk? We develop solutions specially for each project of vertical gardens paying special attention to landscape design and plant selection. 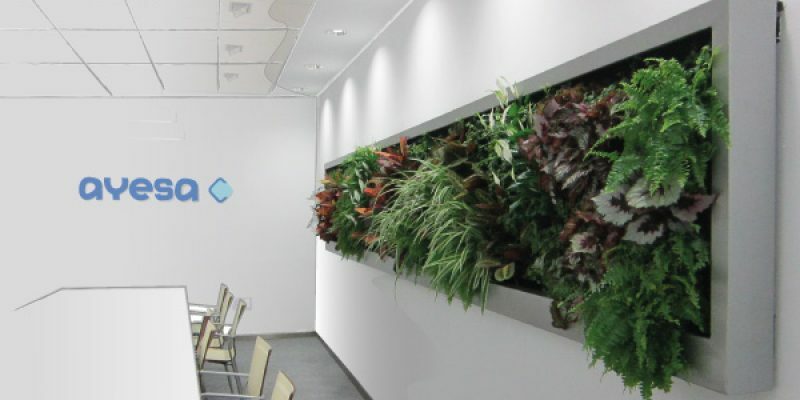 Your vertical garden will reflect your nature or values of your company. Study our projects. We create our Vertical Gardens with use of Fytotextile®, an innovation system created by a group of researchers Naturib that improves plant development. This system is produced at a factory to ensure maximum quality and obtain best results. Learn more here. We will bring Nature where it is necessary to improve your environment. You can count on a team with large internationaal expertise in Urban Greening projects for such clients as Grupo Quirón, M&S, Wimbledon, or Ascot.